Students can practice their understanding of adding prefixes using this one-page printable. Just circle all the prefixes that will make a new word when added to the base work. This is a nice companion to my Smartboard or Powerpoint presentations. 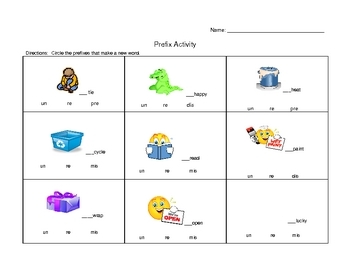 Prefix worksheet, prefix activity, prefixes. Created by dijobaker.